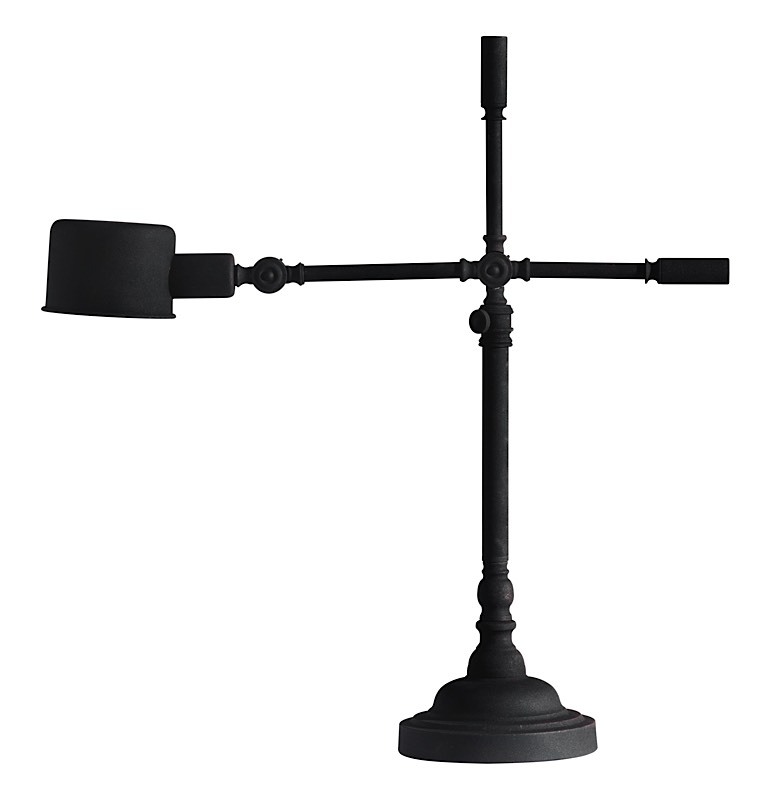 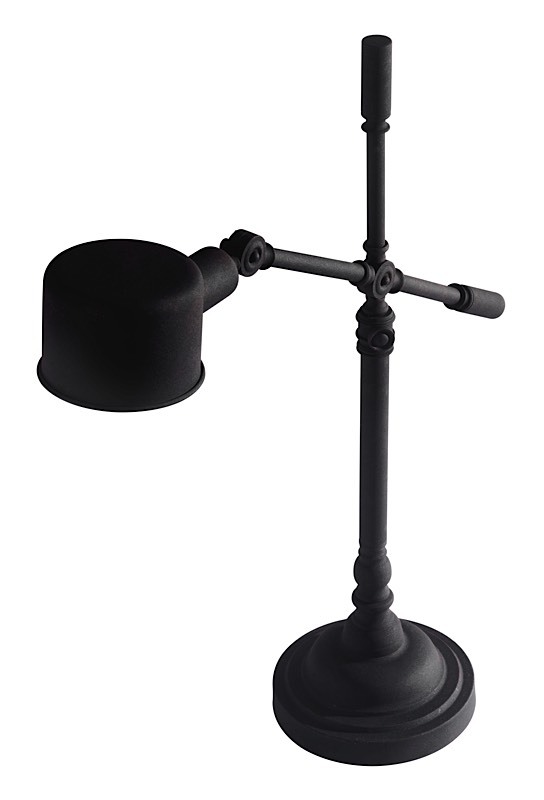 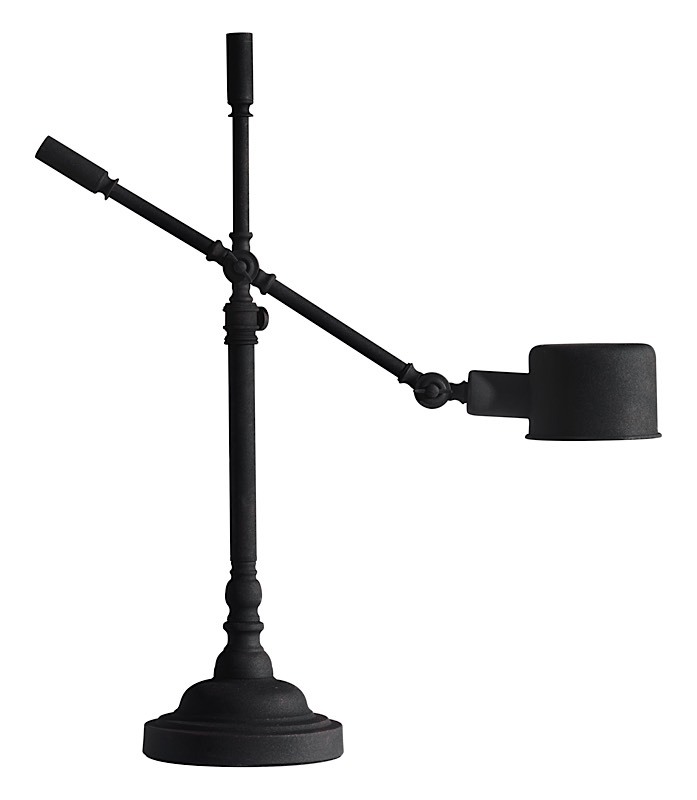 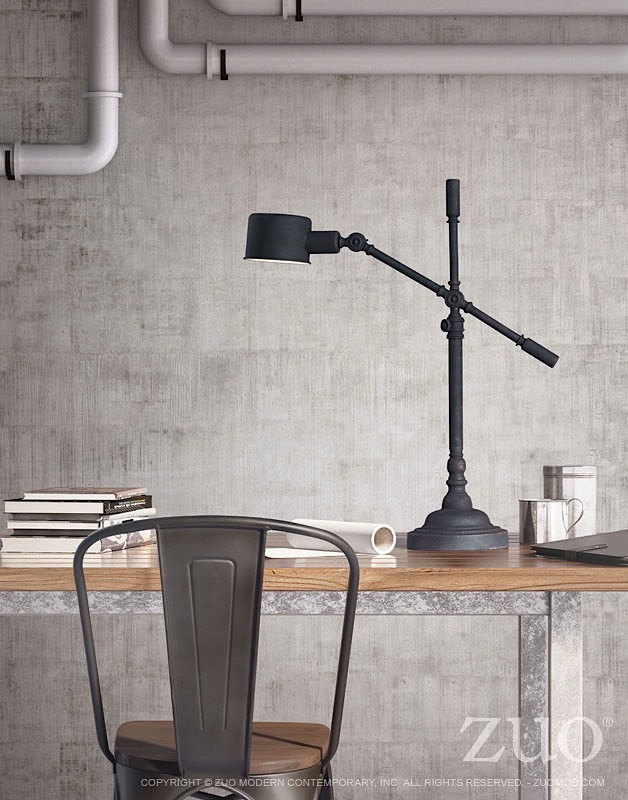 The Turn Table Lamp has antique military styling with vintage sculpted base adjustable arm and pivot shade finished in black sand granite powder coat. 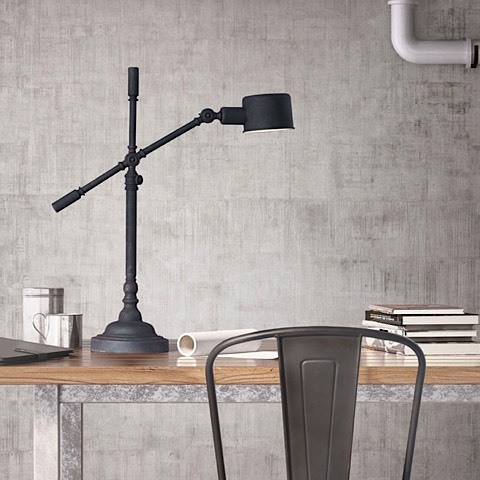 Add to an office or a bedroom for a distinguished look. 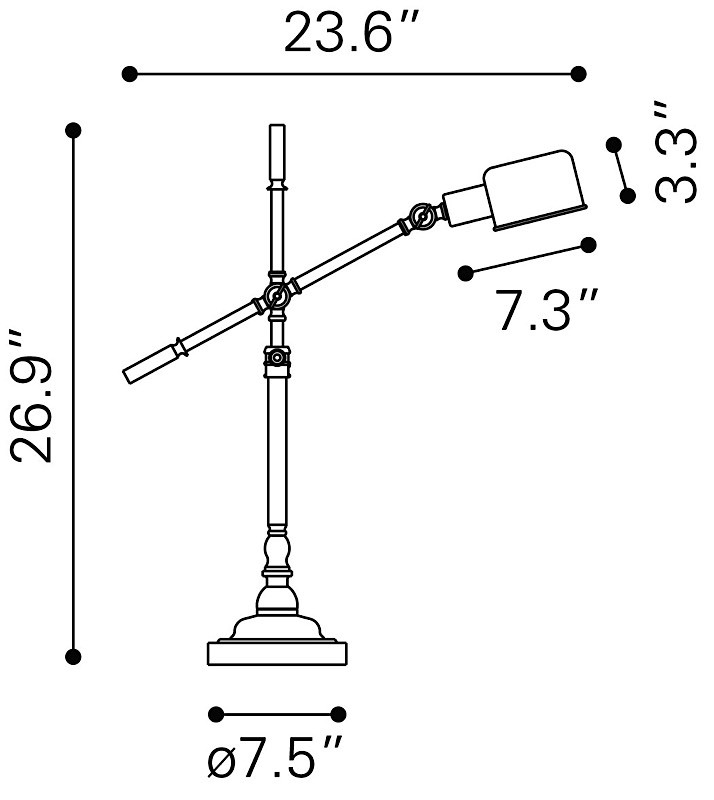 Turn requires one (1) 40 watt max Type A19 bulb with an E26 socket size which is not included with the lamp. 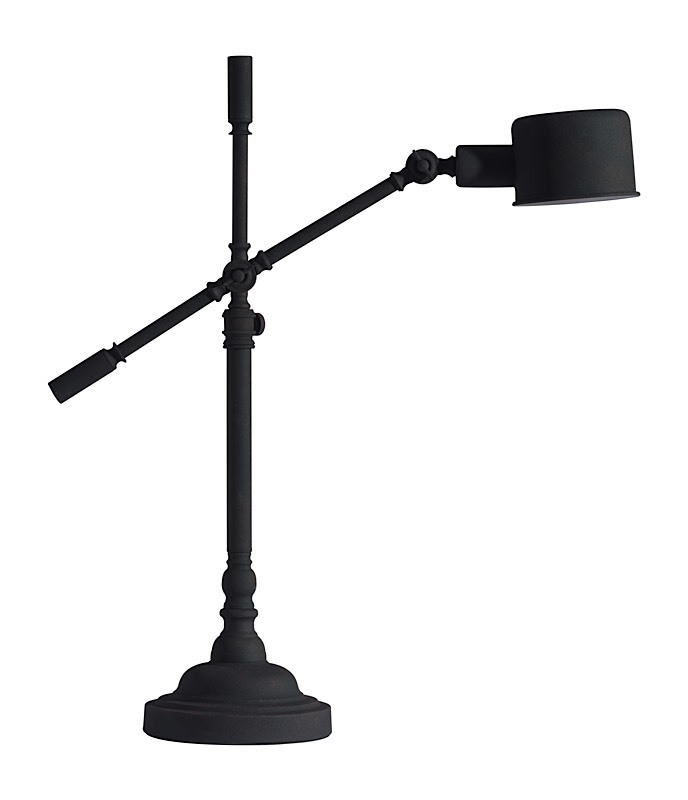 The lamp has 71 inch cord with an "on line" switch type.